“The camps are meant to set you on the path of re-creating yourself. In this, nobody can help you. You have to do it yourself. The camp tries to create a healthy situation wherein you can try to deliver yourself from your own inner weaknesses. The great maternity ward is open. Come in and deliver yourself from your own ugliness. Come out of the camp fresh and beautiful. In the inspiring presence of Swami Abhedananda, devotees were able to usher in the New Year with a wonderful yatra to Madurai, Rameshwaram, Kanyakumari, and Trivandrum from 24 Dec to 1 January 2015. 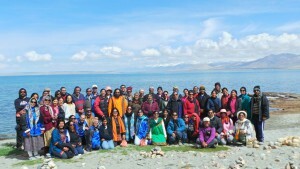 Over 80 delegates from various parts of the world including South Africa, Singapore, USA and India attended this yatra which offered a unique combination of mental relaxation and spiritual upliftment. The Yatra had tranquil meditation sessions in the lap of mother nature, divine satsangs on Ramayana & Shiva-Aparadha-Kshamaprarthna Stotra, soulful bhajans & musical bliss, special darshan during temple visits, breath-taking sight-seeing, stay in the best of hotels that offered facilities and time to relax in the most natural settings. 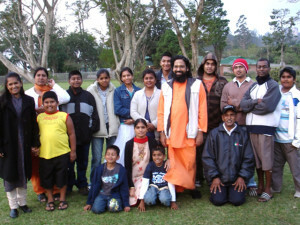 It was a unique spiritual yatra organised by Chinmaya Mission South Africa for invoking the grace of Lord Shiva in the year 2013. For many, this was their most cherished dream come true. And for others, it was like living a dream with their eyes open. It was a divine confluence of more than 70 enthused devotees from South Africa, Singapore, USA, Doha and India. Lord Shiva was so pleased with the faith and devotion of Swami Abhedananda and his devotees that He called them again in the year 2014. The yatra commenced in Kathmandu with memorable darshan of Pashupatinath & Budhneelkanth Temple followed by an aerial tour of Mt. Everest and nearby Himalayan peaks. Everyone revelled in the Swamiji’s satsang and beautiful bhajans throughout the journey. 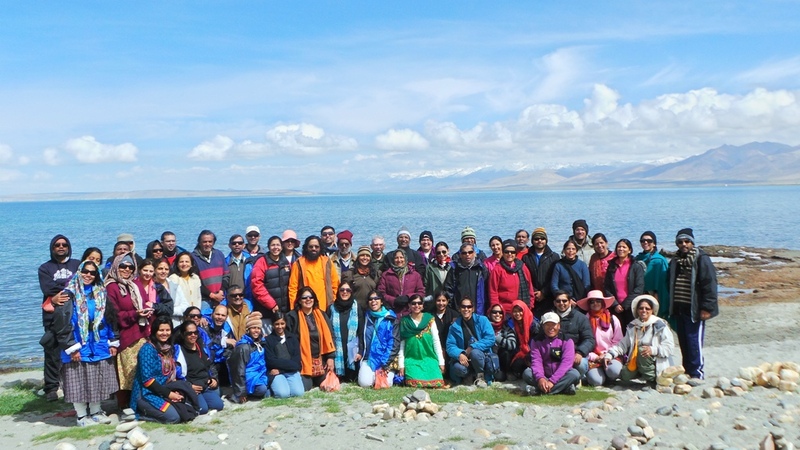 After reaching Mansarovar Lake, everybody took holy dip in the icy cold water and felt immensely fulfilled. Swamiji led all the devotees to perform 11 times Rudrabhishekam of Lord Shiva with the holy waters from Mansarovar, facing Mt. Kailash on the auspicious day of Pradosh. 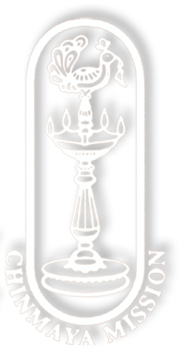 The parikrama (circumambulation) of Mt. Kailash started the on next day from Darchen and was completed in 3 days without any obstacle and Lord Shiva’s presence was felt at all times during yatra in one or the other form. Devotees left for their homes humbled and fulfilled with the experience of unbelievable grace of Lord Shiva. 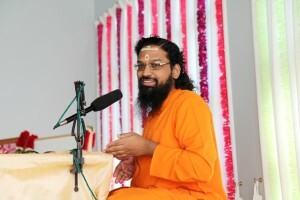 In the most picturesque and scenic settings of the Bali island of Indonesia, a blessed group of 50 delegates from different countries including Kenya, USA, Singapore, India, Dubai and South Africa spent five days of unforgettable time in the divine company of Swami Abhedananda in the year 2012. 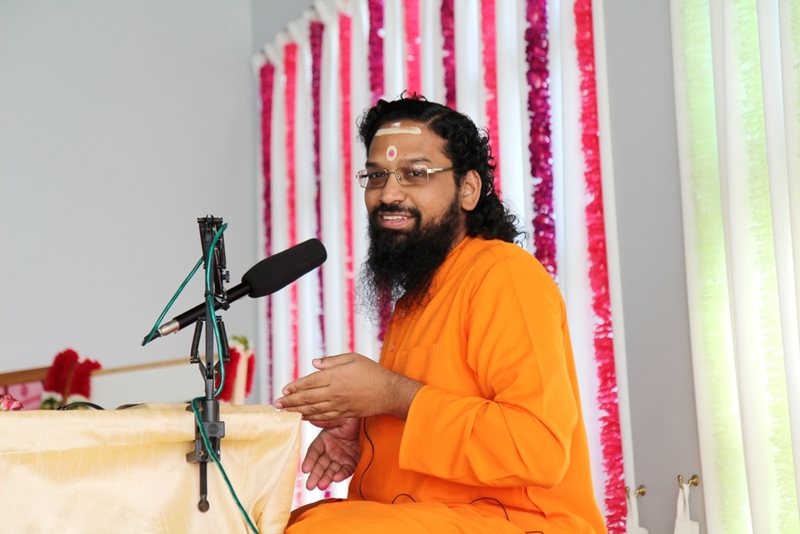 In this camp, Swamiji delivered soul-stirring talks on Kishkindhakand of Sri Ramcharitmanas. Swamiji’s talks were soaked in the depth of knowledge and nectar of devotion. Every day in the camp started with meditation sessions in the midst of the pristine natural surroundings in the morning, discourses during the day and sight-seeing in the evening to enjoy the much-talked about Balinese temples, ancient architectures and traditional monuments. It was a scintillating experience for a more than 70 member group including members of Chinmaya Mission South Africa, Singapore, India and Middle east, as they undertook a memorable pilgrimage to India along with Swami Abhedananda in the year 2008 and 2010. The yatra included a residential camp at Tapovan Kutir in Uttarkashi in 2008 and at Sidhbari in 2010, followed by spectacular travel in the towering Himalayan ranges and visiting divine places like Yamunotri, Gangotri, Gomukh, Rudraprayag, Kedarnath, Badrinath, Deoprayag, Rishikesh, Vaisno devi, Vrindavan and Haridwar. Before embarking on the Char Dham yatra, group of delegates from South Africa along with Swamiji visited Chinmaya Vibhooti and sought the blessings of Pujya Guruji Swami Tejomayananda.